Mercedes-Benz’s GLC and GLC Coupe are about to come in for a minor facelift. 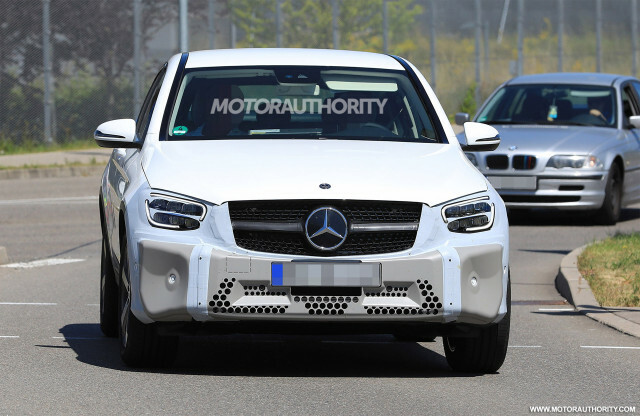 We spotted a prototype for the updated GLC earlier this year and now we have the first shots of the updated GLC Coupe. 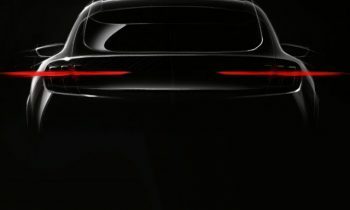 The changes represent a mid-cycle update for the coupe-like SUV which first arrived in 2016 as a 2017 model. 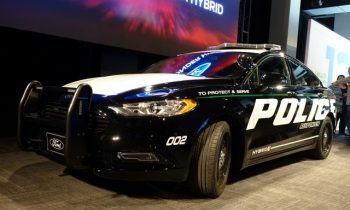 We should see this updated version in the second half of next year as a 2020 model. 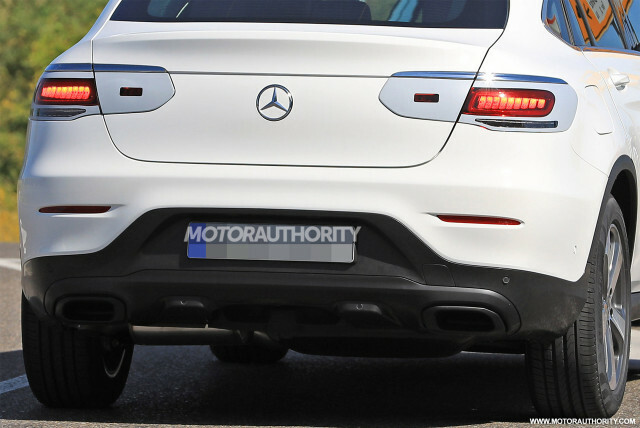 The GLC line is one of Mercedes’ most popular, so don’t expect the automaker to shake things up with this facelift. 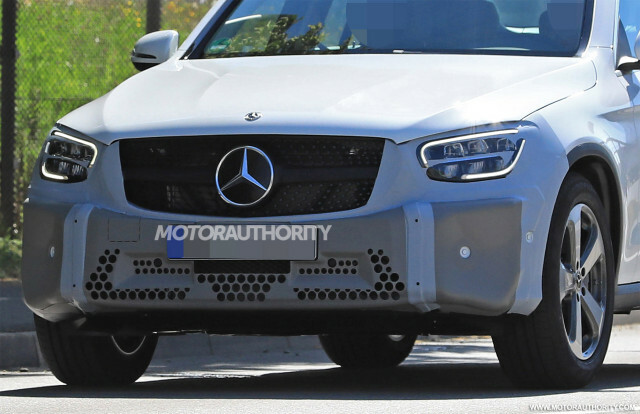 From our spy shots, it looks like there will be minor revisions to the grille and front fascia as well as new lights at both ends. Inside, expect an upgrade of the infotainment system. We don’t expect the updated GLC Coupe to adopt the advanced dual-screen system that debuted in the new A-Class, however. Instead, it will likely come with the same system found in the updated 2019 C-Class, meaning a larger screen at the top of the center stack and a new touchpad in the center console. The GLC Coupe’s base 2.0-liter turbocharged inline-4 will likely see horsepower increased from 241 to 255 horsepower, reflecting a similar change for the updated C-Class. In the GLC43 Coupe from AMG, output from the 3.0-liter twin-turbocharged V-6 will likely be bumped to 385 hp, up from 362 hp currently, once again reflecting a similar change in the updated C-Class. And as for the GLC63 Coupe sledgehammer, since it was only added last year we don’t expect any changes to its powertrain.